Oxheart Cabbage - Vegetable seeds? Buy high quality seeds at 123seeds.com. Fast delivery! Cabbage is a very healthy and versatile vegetable variety. 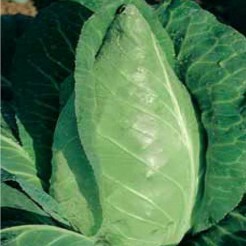 There are many different varieties like: red-, white, Savoy and Oxheart cabbage. These vegetables are all very easy to grow and they all need a lot of manure. 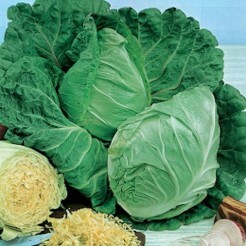 Cabbage contains a lot of vitamins, minerals and anti-oxidants. You can cook, stir-fry, steam and use it in casseroles. You can use some cabbage varieties raw in salads. Cabbage is an essential vegetable in your vegetable garden.